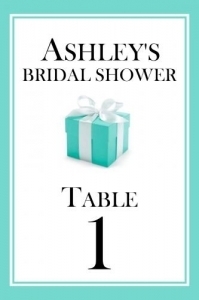 We love the elegance of a Tiffany inspired wedding and you'll love our Tiffany table numbers! A very stylish way to lead guests to their tables, our classic table numbers feature the same image on both sides. They measure 4" wide and 6" tall.